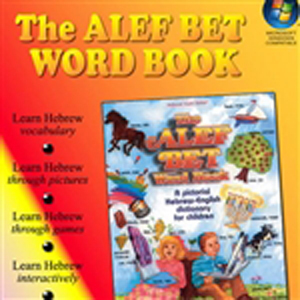 List of 10 games you can play using alef bet flash cards. Free! Decorate your own puzzle, then break up the pieces & put it back together! Fun for the whole family!!!! Decorate your own puzzle, then break up the pieces & put it back together! Fun for the whole family! Decorate your own puzzle, then break up the pieces & put it back together! Fun for the whole family! Decorate your own puzzle, then break up the pieces & put it back together! Fun for the whole family! Decorate your own puzzle, then break up the pieces & put it back together! Fun for the whole family! 48 piece puzzle with illustrations for each letter of the Hebrew alphabet Wonderful learning tool for school or home and school Fun puzzle game for ages 6+...little pieces for little hands! Aleph Bet Jumbo Floor Mat Spell "Love" with these Uncle Goose alef bet blocks! Learn over 500 Hebrew words - arranged alphabetically or by subject - on your exciting journey!